I was inspired to write this post after a lot of research on the Blue Zones, and after seeing a few posts by the people at Blue Zones, and Dan Buettner the National Geographic Fellow that spearheaded the research on Blue Zones. In addition, I have had the opportunity to listen to talks by Dr. Joel Fuhrman, Dr. Joel Kahn, Dr. Michael Klaper, Dr. Robert Ostfeld, Dr. Michael Greger, and Dr. T Colin Campbell. These inspiring health leaders make it clear that in order to have good health and thus longevity, it primarily boils down to diet. As Dr. Klaper says…. It’s The Food! There are several aspects to longevity and very little of it has to do with genetics. It has a lot to do with your lifestyle, your associations, your sense of purpose, your sense of belonging, and your diet. Below is the ‘Power 9’ Principles from the Blue Zones. Read more about that here: Lessons From Centenarians. For the purpose of this article, I am going to focus on the food. Dr. Joel Fuhrman is one of the health leaders that has inspired me to eat as healthy as possible. His research indicates that there are 6 primary cancer fighting foods and he calls them G-BOMBS. 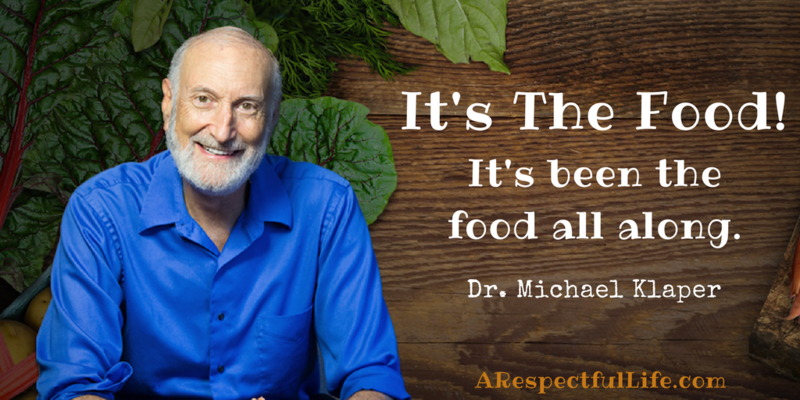 It is a great acronym to get you to remember to eat them daily. They are: Greens, Beans, Onions, Mushrooms (cooked), Berries, and Seeds. Dr. Joel Kahn Likes to say F-n’ G-BOMBS – suggesting that ‘Fruit and Nuts’ are a good addition to consider daily. Dr. Michael Greger recommends that we consume foods that are high in antioxidants. He recommends walnuts and blueberries daily and avoiding saturated fats. The reason why antioxidants are KEY to good health is because of Endothelial Function. The Endothelial Cells are the paper thin cells that line the arterial walls inside our blood vessels. A diet low in Nitric Oxide (antioxidant rich foods) and high in saturated fats as is the Standard American Diet (SAD), creates Endothelial DYSFUNCTION. In other words, it destroys the paper thin inner lining of our blood vessels and arterial plaque builds up (Atherosclerosis), and creates oxidative stress and unwanted inflammation. This results in an increase in inflammation markers, type 2 diabetes, and cardio vascular disease. CVD is the number 1 killer in the US and can be avoided. You can read more about Erectile Dysfunction, Cardiovascular Disease and Diet HERE. 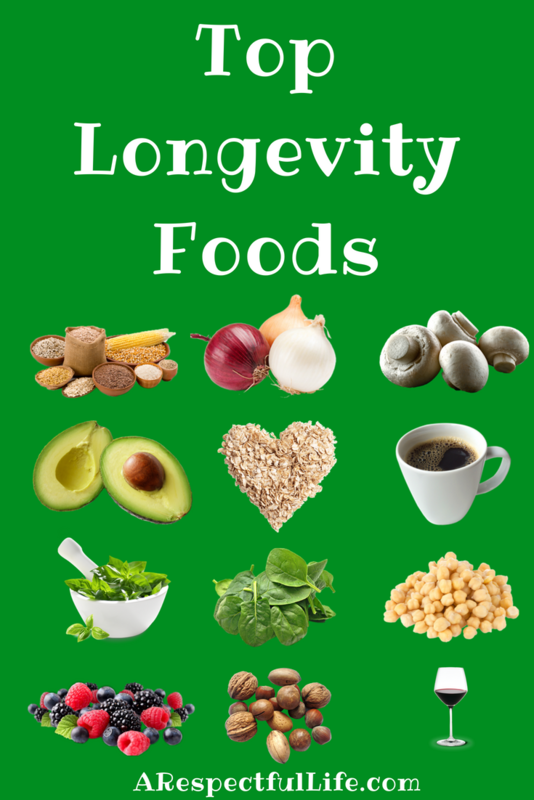 All of the longevity foods in the header image of this post are rich in antioxidants and micro-nutrients. These are foods that people in the Blue Zones eat. Nuts and Seeds. Important to note that walnuts and flaxseed are high in Omega 3’s. Coffee (or Tea). There is always controversy when it comes to coffee. The reason this is noted is that almost all Blue Zone citizens drink a couple of cups of black coffee in the the morning. Note that it is likely the antioxidant effect of coffee that helps keep people healthy, but you can get higher antioxidants from drinking drinking green tea or hibiscus tea. Coffee is known to be acidic. Perhaps for this reason it is best to drink tea instead. Whole Grains – Whole Grains mean literally whole. NOT the refined wheat flour found in most bread products and pre-packaged foods. You can make bread and pasta from whole grain flour, but this is not most of the flour we buy in the grocery store, and not most of the breads or pastas we purchase at a grocery store. You can cook Farro, Wheat Berries, Barley, Rye, etc. and add them to your dishes and smoothies. Whole Grains are PROTECTIVE over cardio vascular disease and cancer. BONUS FOOD #13 – All Blue Zone areas consume some type of fermented food. Natto, Tempeh, Miso, Kimchi, Kobucha, Sauerkraut, etc. are all good sources of plant based fermented foods. 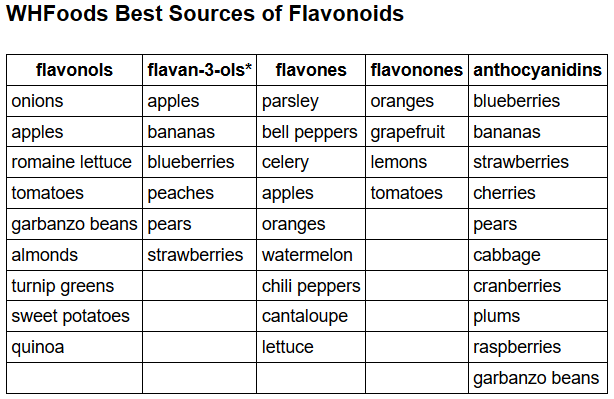 Flavonoid-rich foods include tea, citrus fruit, citrus fruit juices, berries, red wine, apples, and legumes. Processed carbohydrates and foods containing refined flour and sugar. 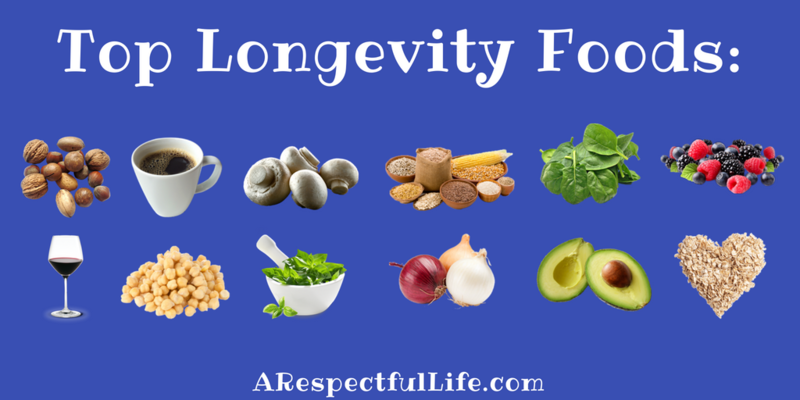 One of the things I want to point out about the top longevity foods, is that NONE of them include animal products. There is not meat, cheese, or eggs included. In fact, the Blue Zone areas of the world consume from ZERO to under 10% of their calories in animal products. They are primarily plant based eaters. Note that NONE of the Blue Zone communities consume cow dairy. If you wold like to know more about dairy and it’s ill effects on human health, please read: Giving Up Cheese and Going Vegan, and Molecular Mimicry – How Eating Animal Products Causes Autoimmune Disease. In my journey toward a plant based diet, I had to come to the realization that ALL plants have protein. 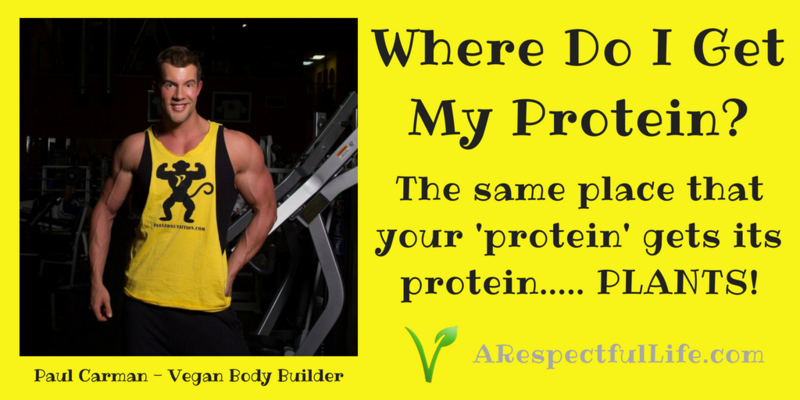 I have yet to meet a protein deficient vegan! Most of the vegans that I have met are incredibly healthy, and the plant based eaters are thriving. Read more about Fit Vegans HERE. Our closest ancestors, the chimpanzee, consumes less than 2% of it’s diet in animal flesh. Silverback Gorillas are massive and have a plant based diet. You can read my article Do Gorillas Eat Meat HERE. All plant foods contain carbohydrates. All carbohydrates are not the same. Carbohydrates from refined foods are void of nutrients and are useless fillers. Carbohydrates from whole plant foods like beans, grains, sweet potatoes, wild rice, and the like, are all slow digesting foods and good for your cardio vascular health. Do not buy into the ‘low carb’ or ketogenic / paleo diet mentality. You can read more about that here: 5 Reasons I Don’t Recommend A Keto Diet. If you want good health, eat a plant based diet rich in whole grains, fruits, vegetables, nuts, seeds, legumes, leafy greens. It has been over a year for me. I went from an obese BBQ restaurant owner with severe edema, sleep apnea, pre-diabetes, high blood pressure, and high cholesterol to a fit, healthy vegan. I have had extensive blood work done and my results the test results are excellent. If you would like to know more about my story and my free weight loss tips, read Easy Weight Loss On A Plant Based Diet HERE. As always, if you have any questions about this article or any of my content, please feel free to reach out to me directly. Love your list, but wondering why garlic isn’t on it? Garlic may have anti-cancer properties, and there is nothing wrong with garlic, it just doesn’t make the top 12 for longevity list going by what foods are eaten in the blue zones.